Taking yet another important step towards contributing to and promoting Digital India and Ease of Doing Business, Minister of State (Independent Charge) of Environment, Forest and Climate Change, Shri Anil Madhav Dave, launched the online filing of Access and Benefit Sharing (ABS) applications through videoconferencing, here today. Emphasising that the meaning of good governance lies in making processes transparent, Shri Dave said that the Prime Minister, Shri Narendra Modi, inspires everyone to embrace E-governance. The Environment Minister expressed the hope that E-governance will be made 100% operational in the near future and all the processes of the Ministry will be made fully transparent. Secretary, Ministry of Environment, Forest and Climate Change, Shri Ajay Narayan Jha, said that digital technology must be accessed not only to promote Ease of Doing Business, but also to facilitate transactions for the general public. Shri Jha expressed the hope that NBA will put all the other processes in a digital format, so that the people who used these services are served in a better manner. The National Biodiversity Authority (NBA), teamed up with the National Informatics Centre (NIC), to launch the Online Filing of Access and Benefit Sharing (ABS) Applications at – www.nbaindia.org – to enable E-filing of applications. Applications seeking such approval are to be made on the appropriate forms available online. If Indian or foreign individuals and entities like registered companies wish to access biological resources and associated knowledge to carry out various activities, prior approval of NBA, or the State Biodiversity Boards is a pre-requisite. NBA will adhere to stipulated timelines to process applications. With the process being made online, the attempt is to address these issues better and also to keep pace with digitisation. 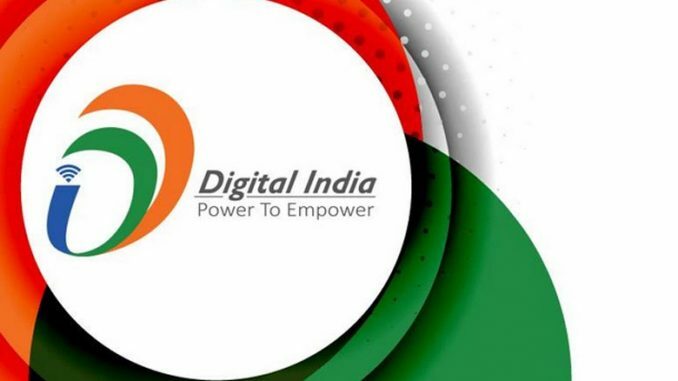 The online portal is in sync with the Government’s policy of Digital India. The NBA website hosts the detailed procedure to be observed for filing of applications, the key information required and information regarding the supporting documents that are to be filed by applicants. This online process is user-friendly and has salient features such as editing, reviewing, printing, digital signature, online payment of fee. These features are expected to considerably reduce the processing time of applications. For any new user, the portal provides a step-by-step guide, right from choosing the relevant form, to submission. Tool tips/pop up messages are provided to assist the applicants in filling up the columns in the application. The portal also provides the facility for making online payment of application fee before submission of the application. Once the online portal is fully operational, it is expected to ease the submission of application and speed-up the process of granting approvals by NBA. As part of Digital India policy, Genetic Engineering Approval Committee (GEAC) will also accept online application, which will help in tracking applications and reducing delays. The primary factor to be ascertained before filing any application in NBA is to identify whether the applicant is dealing with a biological resource, as defined by the Biological Diversity Act. Applications are scrutinized at different levels, before the Authority decides to grant approval. Till date, over 1, 600 applications have been received and 980 applications have been cleared. A total of 440 agreements have been signed by the NBA with the applicants, which is construed as an approval. In the past, a large number of applications could not be processed, as they lacked important information/documents needed for scrutiny. The National Biodiversity Authority (NBA) is a statutory body established under the provisions of the Biological Diversity Act (2002). NBA performs facilitative and advisory functions for the Government of India on issues of conservation, sustainable use of biological resources and fair and equitable sharing of benefits arising out of the use of biological resources.